资料来源：叶孔嘉的数字来自于Brandt, Loren, and Thomas, Sargent, Interpreting new evidence about China and U.S. Silver Purchases. Journal of Monetary Economics, vol. 23 (Jan. 1989), pp. 31-52. 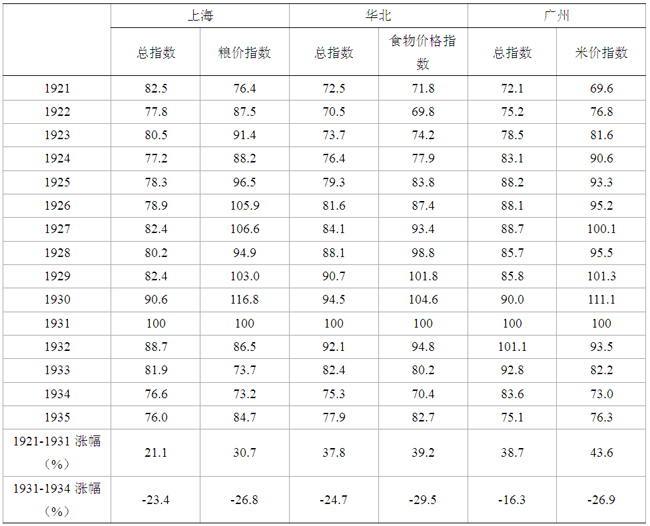 巫宝三数字来自Ou, Pao-San, A New Estimate of China’s National Income. Journal of Political Economy, vol. 54 (Dec. 1946), pp. 547-554. Friedman, M., and Schwartz, Anna J., Monetary History of the United States, 1867-1960. New York: Princeton University Press, 1963. Schwartz, Anna J., The Great Contraction, 1929-1933: Preface 2. New York: Princeton University Press, 2008. Bernanke, Ben S., The Great Contraction, 1929-1933: Preface 1. New York: Princeton University Press, 2008. Bernanke, Ben S., The Macroeconomics of the Great Depression: A Comparative Approach. Journal of Money, Credit, and Banking, vol. 27 (Feb. 1995), pp. 1-28. Friedman, Milton, Franklin D. Roosevelt, Silver, and China. Journal of Political Economy, vol. 100 (Feb. 1992), pp. 62-83. Brandt, Loren, and Thomas, Sargent, Interpreting New Evidence about China and U.S. Silver Purchases. Journal of Monetary Economics, vol 23 (Jan. 1989), pp. 31-52. Lai Cheng-Chung, and J. Gau, The Chines Silver Standard Economy and the 1929 Great Depression. Australian Economic History Review, Vol. 43, (Jul. 2003), pp. 155-168. Friedman, M., and Schwartz, Anna J., Monetary History of the United States, 1867-1960. New York: Princeton University Press, 1963, p.485. Leavens Dickson H., American Silver Policy and China. Harvard Business Review, vol. 14 (Autumn 1935), pp. 45-58. Rawski, Thomas G., Economic Growth in Prewar China. Berkeley: University of California Press, 1989. Rawski, Thomas G., Economic Growth in Prewar China. Berkeley: University of California Press, 1989, p. 394. 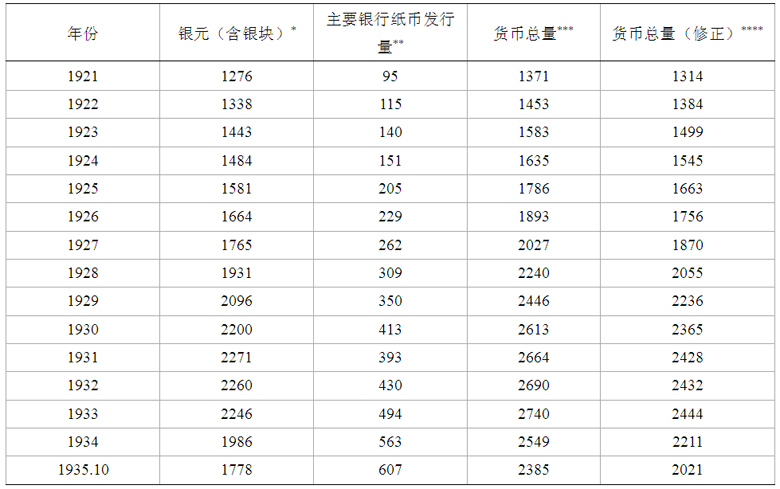 Ou, Pao-San, A New Estimate of China’s National Income. Journal of Political Economy, vol. 54 (Dec. 1946), pp. 547-554. Greenwood, John G., and Wood, Christopher J.R., The Chinese hyperinflation: Part 1. Monetary and Fiscal Origins of the inflation, 1932-1945. Asian Monetary Monitor vol. 1 (Jan. 1977) , pp. 25-39. Young, Arhtur N., China’s Nation-Building Effort, 1927-1937. Stanford Cal. : Hoover Institution Press, Stanford University, 1971, p. 220.